ahem!, 26 Jan 2011screen protector on a capacitive screen!!! really!! so it can do what exactly?The screen protector is used to prevent your screen from being scratched. i did put it on my sony Digcam sicne 2008 and it's still scratch-free. i bought the same for my phone.it's working well. Wahome, 26 Jan 2011Have u ever considered the fact that the overpriced phones have always been a profit machine t... moreThumbs up to your comment wahome.. That's true. It's worth buying. Android is a good OS. 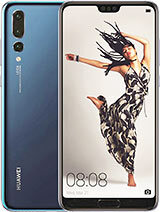 Jomm (Kenya)., 26 Jan 2011Hi Guys, Note that in addition to Huawei U8150 IDEOS-... moreReally? That's good. Some guys can buy that..
john, 27 Jan 2011pathetic battery.It cant even last for 7 hours a day.Chinese product againYeah.. it's a phone u use it not often..use it while doing something else.if u turn it into a radio or ipod..i.e. listening to music for a long time the battery runs out in a short time. Browsing with it for an hour makes runs out the battery. fonfreak, 26 Jan 2011this phone is way too cheap for that spec sheet.dont know what safcom are trying to pull but a... moreI have it..i love it. Android is the thing. Thank God the phone is not locked with safaricom. Abu(kenya), 26 Jan 2011Hey GLo.i believe the phone is good.i pray i get one with a black cover or if worse comes to w... moreHey Glo.. i bought the phone yesterday. It's awesome. Take your time to study the manual though. 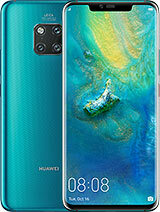 It has a lot of features... Be patient in getting to you know phone. Charge the battery for 6 hours before putting on the phone..that is after buying then u may now put the sim card then switch it ON. You'll love it. @Kabir - get a life and quit hating, u probalby dont even know where Kenya is on the world map. I'm a student and I own a sony Ericsson X10 Mini and that's not even my only smartphone. 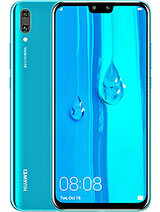 I think the Huawei U8150 is a bargain considering its features. Kabir, 26 Jan 2011A lot of excitement especially from Kenyans maybe this could be their first Android experience... more@Kabir I will not insult you but just let you know what my brothers are trying to say is that this phone is not to most of us our first android expeirence ,personally I have owned an HTC desire SE X10 and now looking to buy the Arc and Im just a middle class guy ,its only that the Major network is the one supplying that's all . @kabir Go sit on a broomstick. Rotate. Counterclockwise. No Vaseline. @zxcv ;-) If he (she, it?) can bend over that far... lol! Kabir, 26 Jan 2011A lot of excitement especially from Kenyans maybe this could be their first Android experience... more@Kabir, u ever been to Kenya? 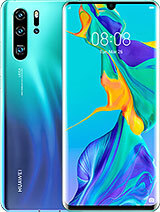 Loads of smartphones r available here, and about the ringtone stuff, that was just one person from a pop of 40 Million, and as you had been told b4 Go blow urself! On the first thing if you compare this phone and other smartphones that cost over double it, certainly you wont like it, compare it with the phones that are of the same price range. @ kadir..do u hav a problem wit kenya..go blow uaself!! 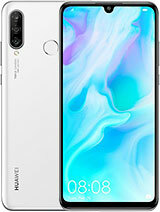 Hi Guys, Note that in addition to Huawei U8150 IDEOS-(TFT 2.8, processor 528 MHz) we also have Huawei U8800 IDEOS X5-(TFT 3.8, Storage 2/4 gb, 800 MHz), Huawei U9000 IDEOS X6-(TFT 4.1, Storage 2 gb, 1 g HZ Processor) & Huawei IDEOS S7.0 (a Tablet) TFT 7.0. The last three will be available before May 2011.